This room is a guest favorite. Whether you visit in the midst of winter or the height of summer the Sunlight Serenade will surround you with the warm colors of the earth and sun. 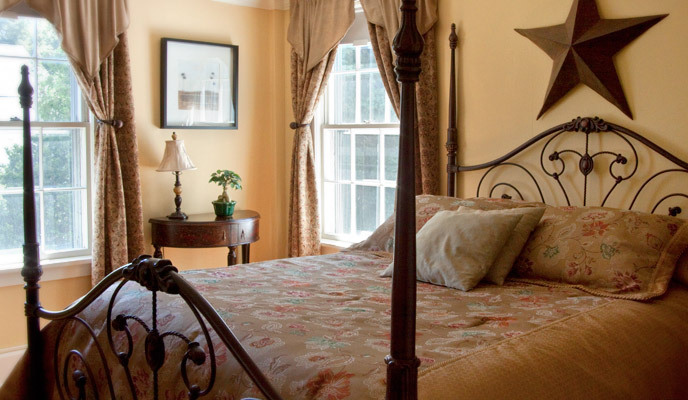 The thickly mattressed queen sized bed will lull you into sun-kissed dreams. The private bathroom includes a handcrafted mosaic sink and a shower.